Canada plans to phase in tougher regulations on the emission of methane, a powerful greenhouse gas, but it will take between three and six years for the new rules to kick in. The proposed regulations would mostly impact the oil and gas industry in Alberta and Saskatchewan, which is responsible for the bulk of methane emissions nationwide. New rules requiring companies to control methane leaks and the release of methane from compressors are to take effect starting in 2020. Together those sources make up about 43 per cent of total emissions related to oil and gas. Regulations on methane venting and the release of methane from pneumatic devices, which make up another 43 per cent of emissions, would not come into force until 2023. Environment Minister Catherine McKenna said the proposed regulations were created "after extensive consultations" with various groups, including industry. CBC News reported in April that, ​based on documents it obtained, the federal government was looking to delay the implementation of industrial methane regulations by up to three years from an earlier draft plan. The documents show the initial plan was to phase in tough new rules to control methane from the oil and gas industry starting in 2018, with all of the new regulations in place by 2020. But the revised timeline in those documents called for regulations to be phased in starting in 2020 and not fully implemented until 2023, reflecting what McKenna announced Thursday in Calgary. Just over a year ago, Prime Minister Justin Trudeau stood on the White House lawn with Barack Obama and said the two leaders would jointly tackle methane emissions from the oil and gas sector. The plan, Trudeau said then, was to reduce methane emissions by up to 45 per cent from 2012 levels by 2025. McKenna said Thursday that overall target hasn't changed, despite the implementation dates of the regulations being pushed back by several years. "I've always said that we need to be smart about how we bring in regulations," she said. "We need to be practical. We need to make sure that things are workable. And so, we've heard from industry that they're committed but they need a little more time, and so we're reflecting that in our regulations." Shell Canada president Michael Crothers said the company was "pleased" by the government's announcement. "Shell Canada supports controls on methane emissions and has had voluntary leak detection and repair, and preventative maintenance programs in place for many years in our Alberta and B.C. gas production operations," he said in an emailed statement. "We are working with environmental groups and industry peers to develop outcome-based regulations to meet the 45 per cent reduction targets while maintaining cost competitiveness." Waiting until 2020 to start phasing in the new regulations is a "lost opportunity," said Duncan Kenyon, program director for responsible fossil fuels with the Pembina Institute think-tank. "It means that we've lost the ability to get reductions earlier on, to help us on the pathway to these 2030 targets [of the Paris climate agreement]." Kenyon also said the regulations will require changes in the oil and gas industry that are technically feasible but will require a "fairly large culture shift" at many companies. "So putting the dates back does delay the beginning of that culture change," he said. 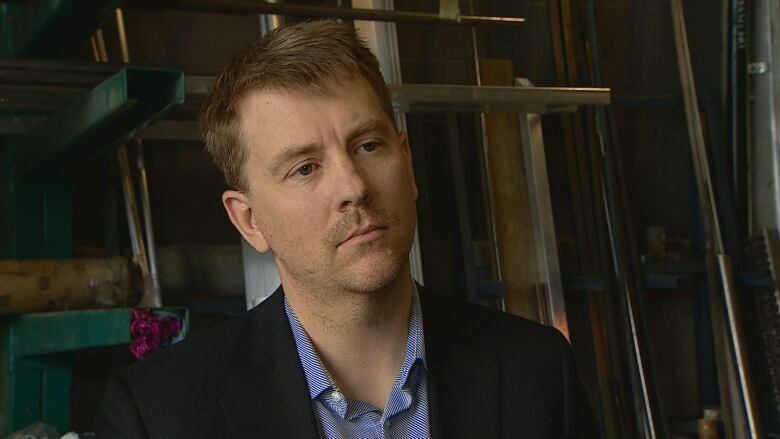 "And it's disappointing for us because I think we really do have innovation and entrepreneurial spirit in the sector. I think they'll find … that they can make very serious reductions and very cost-effective reductions quickly." 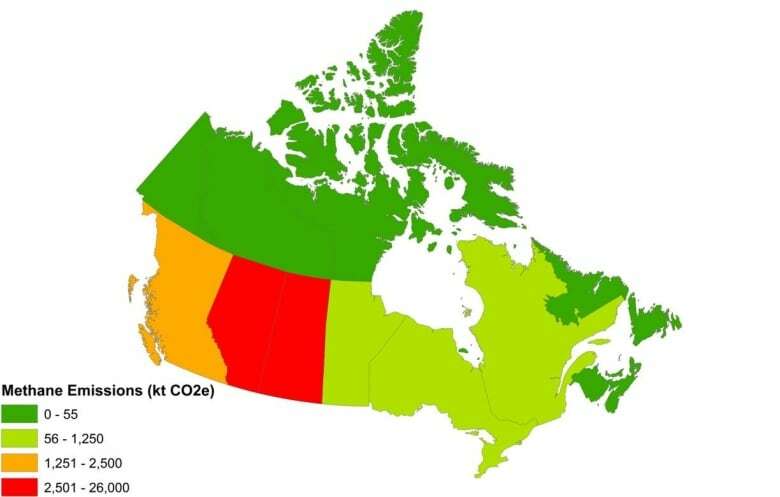 Dale Marshall with the advocacy group Environmental Defence said the three-year delay to fully phase in the regulations will mean additional greenhouse gas emissions equivalent to having an extra four million cars on Canada's roads over those three years. "That's a gift that was given to the oil and gas industry because of their hard lobbying," he said. "And that gap needs to be filled somehow." When released uncombusted into the atmosphere, it acts as a greenhouse gas and has 25 times the climate warming effects of carbon dioxide. 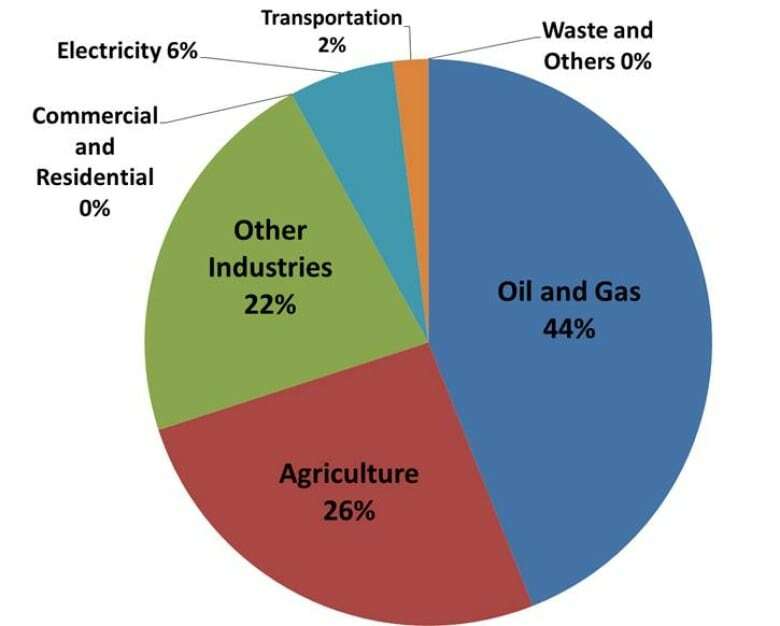 Oil and gas operations are the largest contributor to methane emissions in Canada, accounting for 44 per cent of total emissions. The next largest contributor is agriculture, at 26 per cent. In the oil and gas industry, methane gas leaks from equipment like compressors, pumps and pipelines. It is also vented from oil and gas wells and petroleum storage tanks. Reducing methane emissions requires improving equipment and changing industry practices, but many believe that's easier than cutting carbon-dioxide emissions. 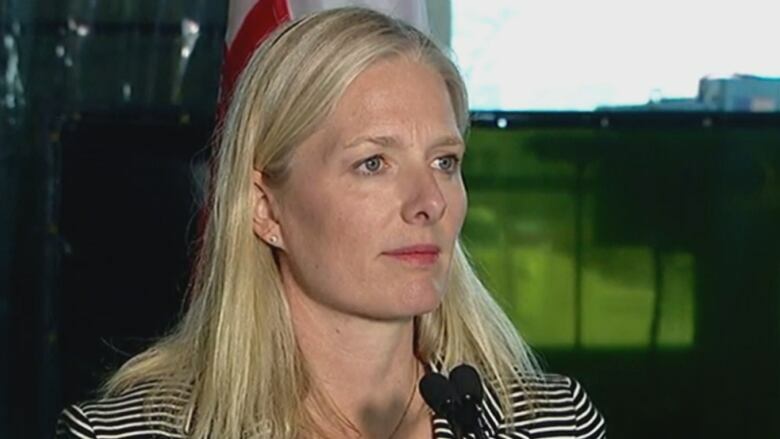 "This is really one of the lowest-cost ways that you can reduce emissions," McKenna said. "This is about being more efficient. Right now we have natural gas that's leaking into the atmosphere. We should just capture it." The government estimates compliance with the new regulations will increase costs for the oil and gas industry by $3.3 billion, or 0.4 per cent of total industry expenditures, between 2018 and 2035. Over that same time, it estimates the value of natural gas that will be conserved instead of leaking into the atmosphere at $1.6 billion. The federal government is accepting feedback on the proposed regulations from provinces, industry groups and the general public until July 27.